One crazy day at Sam’s Club I purchased two large boxes of Christmas cards. With good intentions, I pIaced the cards in plain sight on the buffet in the kitchen. I thought that on a day when I was not busy I would fill them out, address them, and out they would go. I saw it as a kind of necessary evil. It was sort of expected, but not really expected. A kind of niceness, really. 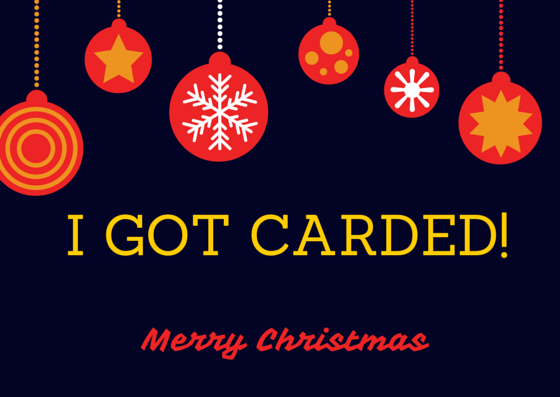 Others would send cards our way, but, I reasoned, they weren’t as busy as I was! Days went by and the beautiful, glittery, cards sat stacked on the edge of the buffet in the kitchen. Finally, I had about an hour to spare. It was cold and drizzly outside and I couldn’t go walking. I perched on my stool at the kitchen bar and made nice neat piles from which to work. I had a pile for envelopes. A pile for cards and a pile for the gold stickers. I had current addresses on my phone and I had the church directory right in front of me. I had a bright green pen and my little electric heater. I was good to go. If you have ever worked your way through obligatory cards you will understand immediately that my beginning cards were different than my ending cards. It took me a bit to warm up to the task. At first it was truly a task. Something that had to be completed within this one available hour. I scratched a quick message in green ink and licked and stamped and sorted into piles. I watched the clock and scribbled some more. My back was aching and I was feeling pressed for time. Finally I stopped and took a breath. I needed an attitude adjustment. First of all I had to slow down so the recipients could actually read the cards. Secondly, this was an opportunity to think about family, friends and acquaintances. So, I started back up and with each card I thought about how much the person meant to me or to our family and how thankful I was to have them in my life. I said a little prayer for each person as I addressed the envelopes and soon I was thinking differently about writing the cards. My messages got more personal and I became thankful for the time to think about family and friends on a day I might not have otherwise. As I got to the end of my stack, I had some cards left over so I decided to look a little deeper through the church directory and my address book to see if there was someone that I wasn’t close to but who might be lonely and need a card on just that day. I found that writing these cards were most satisfactory because I hoped that I was making another’s day brighter. By the end of my card writing hour – which slid into two – I was feeling uplifted. Praying for others and thinking about others was just what I needed on this hurried gloomy day. The card writing duty turned into a thankful time of reflection and took me completely outside of myself. I am blessed indeed to have so many friends and family that I can wish Merry Christmas! I am blessed to have a wonderful church family and a great community full of close friends and acquaintances. But most of all I am blessed to have a savior who is the reason for having Christmas in the first place. You may or may not be a card writer, but during this time of year, you can stop for a moment in your busy day and say a little prayer for those close to you and those not so close to you. Hopefully you will feel a shift inside and be certain that the ultimate gift is the blessing of family and friends. Merry Christmas to you all. May you be filled with peace and blessings this coming year. This entry was posted in Posts, Stories / Articles and tagged blessings, Cards, Christian, Christmas, Family, Friends, Relationships. Bookmark the permalink.